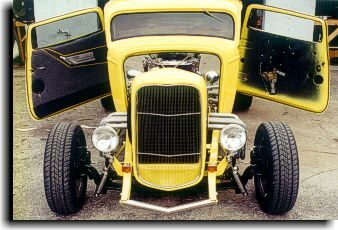 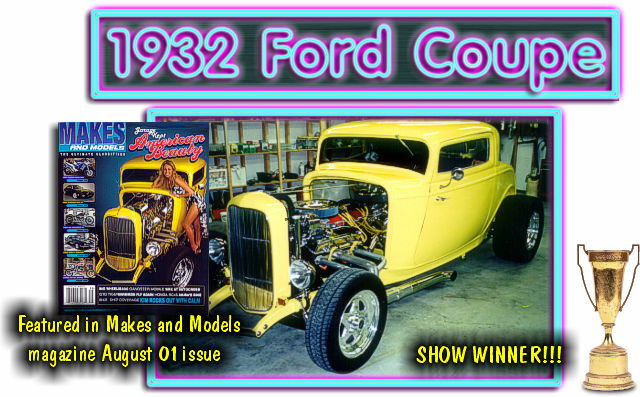 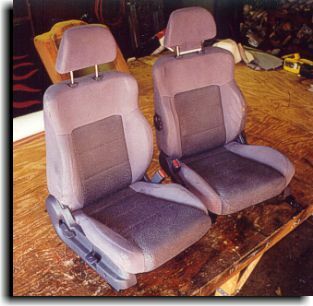 Mr. Rick Allen of Tampa, FL choose a tweed cloth in two different shades of gray to construct an interior for his show winning 32 Ford 3-window coupe. 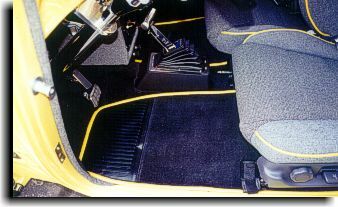 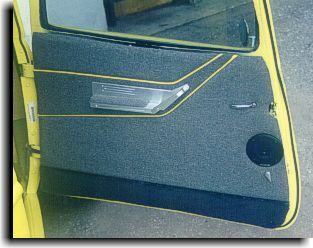 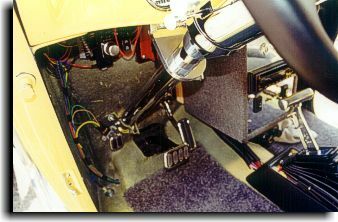 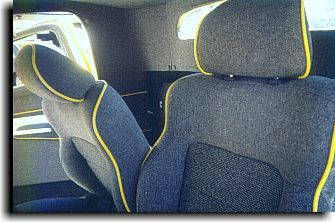 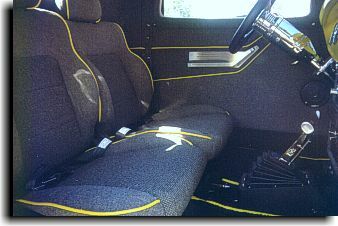 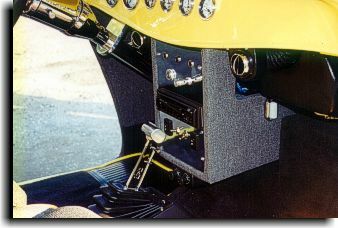 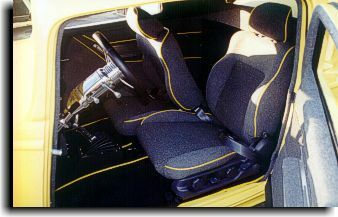 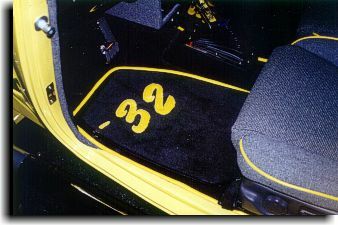 With a yellow accent welt cord and black cut-pile carpet, this is one of the nicest interiors produced by Catalina Custom. 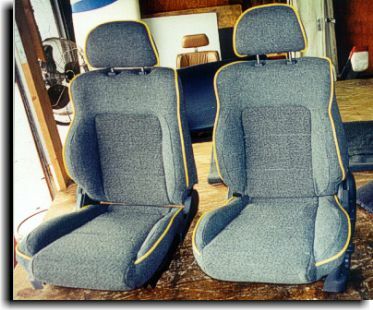 There was nothing to start with for the headliner assembly. 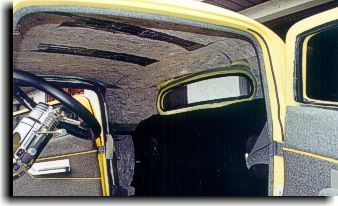 Catalina Custom had to design the headliner assembly from scratch. 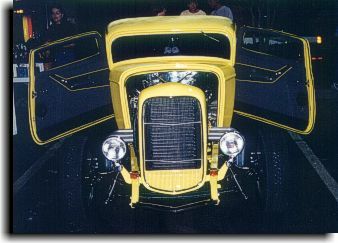 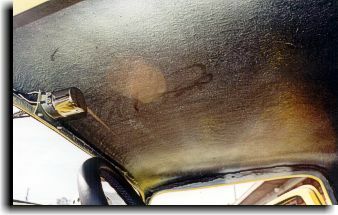 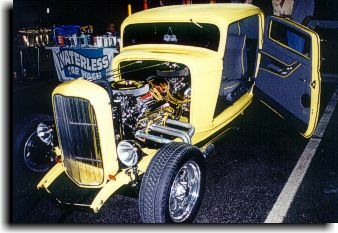 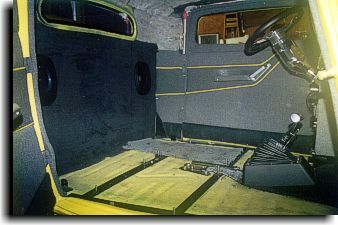 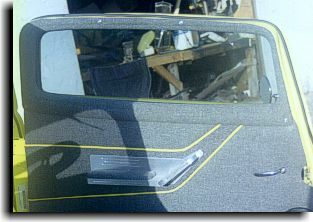 With the 32 Ford being a fiberglass car, the challenge was to support the headliner board in the center of the roof. 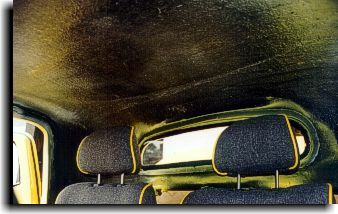 Drilling was impossible because the fiberglass was single layer and any drilling would have resulted in a hole in the roof on the outside finished paint job. 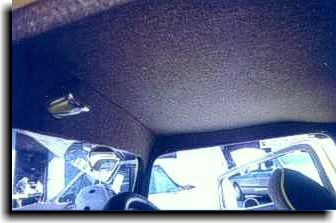 Large Velcro strips was glued to the ceiling to hold the headliner board up. 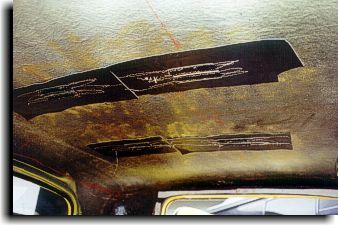 Ceiling with velcro strips and padded for sound deadening.